There’s nothing quite like the game of foosball, combining the fun of an arcade game with the thrill of live sports. If you’re on the hunt for a birthday or Christmas present for a friend who shares this passion for foosball, why not go for something that will let them enjoy their favorite hobby even more? Foosball is no longer just about the game, and there are countless options out there for great gifts that have to do with the sport. 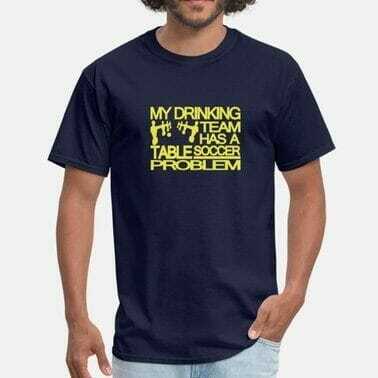 Whether you want to show your support in a foosball t-shirt or get them an entirely new table, you’ll probably be shocked at just how much tabletop soccer merchandise is out there. 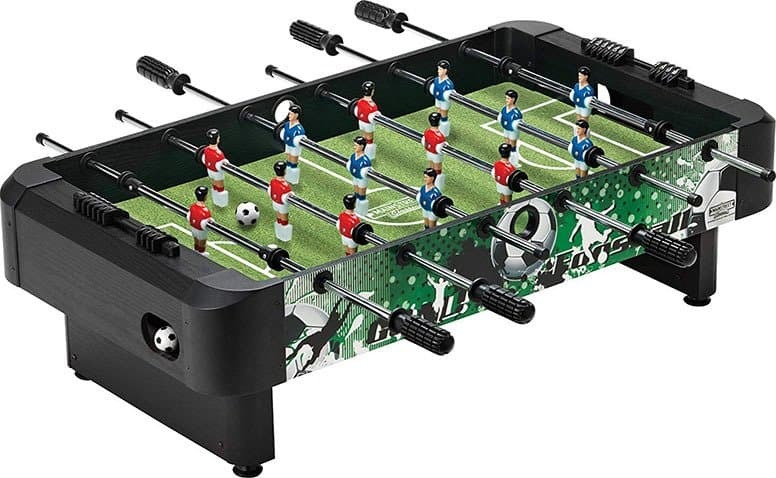 There are heaps of foosball gift ideas ranging in budget so you don’t have to spend a fortune, and any one of them would make a foosball loving friend happy. Check out our list of foosball gifts that would be the perfect present for your enthusiastic tabletop football-loving friend. What better way to show your friend that you love them than to get them a brand new, shiny foosball table? 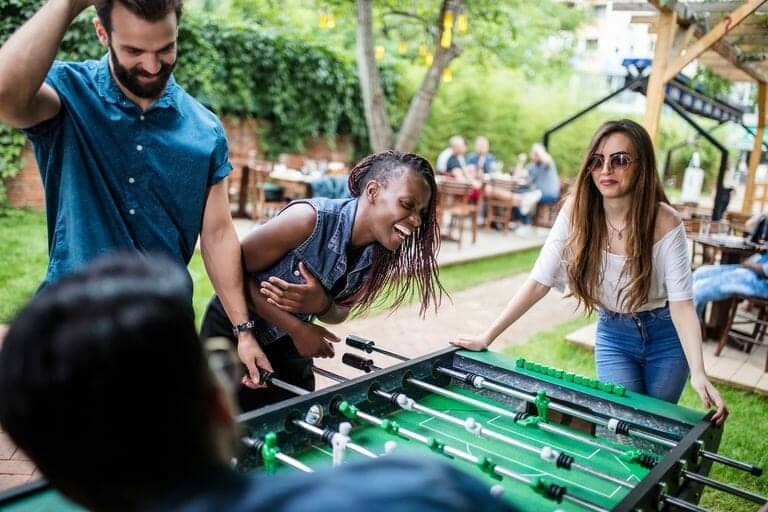 Modern foosball tables are full of so many cool features that make them better than ever, so if your friend has been playing on an older one then it’s probably time for an upgrade. Although it might be tempting to go for the cheaper options, their quality isn’t as good, so this is the time when you should put in the extra cash to get something worthwhile. Not only will they love it, but you’ll get to benefit from free foosball games whenever you’re feeling bored. There are foosball fans and there are serious foosball enthusiasts, and if your friend is the latter then they probably take their game very seriously. Watching a real game of soccer means the players on a strict time limit for each segment of the game, and there are sports timers that let you bring this serious competitive spirit to the game of foosball. 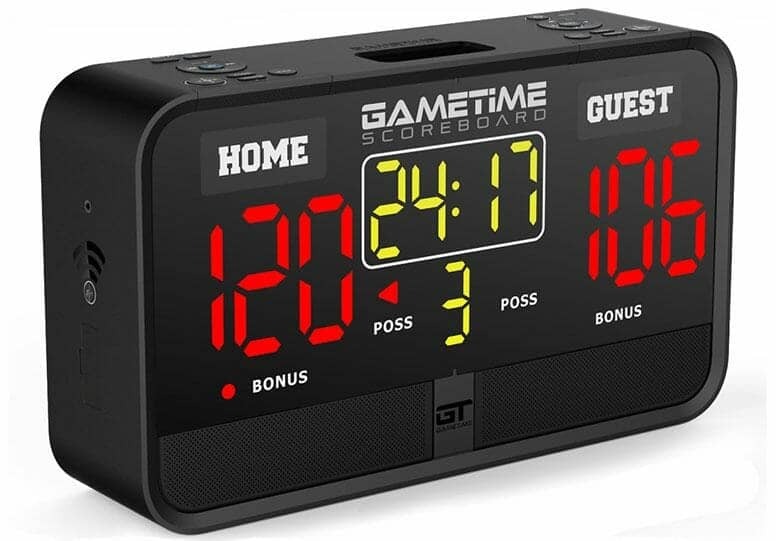 A game timer retails for around $10, or you can get an app that does the work for you. These apps will not only keep track of time but will tell you the scores and the average performance of each player. The table soccer time app only costs a few dollars but will bring you hours of joy. Foosball is a complex game, and just like soccer, it requires a whole lot of training and hard work to get really good at. 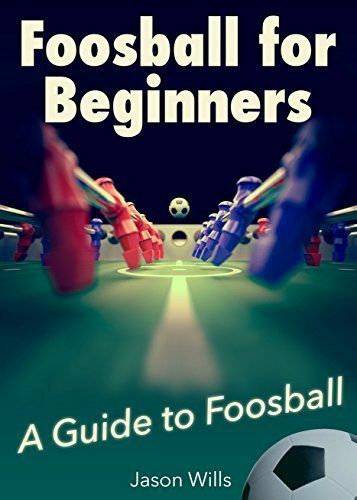 When you’re not practicing by playing, foosball enthusiasts might like to do even more training by learning some special shots and tricks. ​There are actually guidebooks out there that show you how to play effectively, the key to making the goal, and other handy tricks and tips that could propel you to champion level. With DVDs and books available, you can pick one of these up for under $20, but their value will be worth a lot more than that. As much as we would like to, it’s just not possible to take your foosball table with you everywhere you go and have a game when the mood strikes you. If you have a friend who's obsessed with the tabletop game, now you can help them play it at work, on vacation, or whenever they’re not at home thanks to the miniature foosball table. 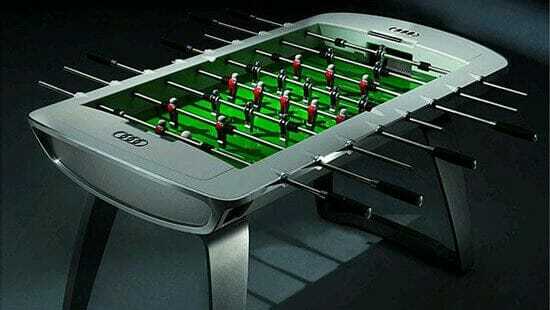 These tables measure quite small, at around 10 inches in length, and come complete with two goals, two balls, and everything that’s needed to play a desktop game of foosball. It’s small enough to help them get their fix when they’re not at home but just enough to make them miss their larger table. That’s right, there is a whole range of clothing and accessories that let you declare your love for foosball. You could get motif t-shirts, baseball caps, or stickers for your car, all letting the world know just how much you love this sport. ​Take things up a level and get some foosball earrings featuring one of the tiny players that will hang from your ear, showing everyone how much you really love the game. These range in price from just a few dollars for a button or sticker, up to around $30 for a t-shirt, so they’re affordable in terms of spending. 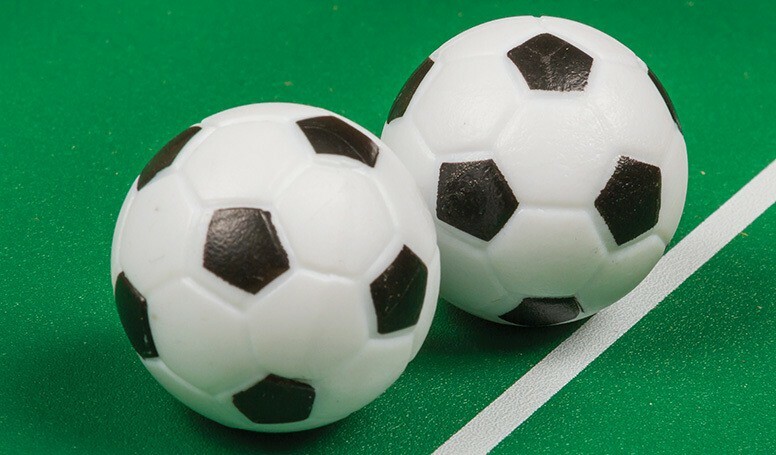 When you purchase a foosball table, they come with their own balls that are part of the set. These balls are perfectly fine to play with and provided you don’t lose them, they’ll last you as long as the table does. To make for a real treat when playing though, you can purchase “deluxe balls” for your foosball game. These are colored and made from higher quality materials, in sizes that will fit most standard tables. Best of all, they’re pretty cheap at around $10 for a full packet of six balls and guarantee that they’ll never lose their balls again. You need only hop online to see just how many foosball friendly gifts there are waiting. If your friend already has a quality foosball table then there are plenty of ways to accentuate the experience for them, as you can see. There are hours of enjoyment possible from owning one of these tabletop soccer games and it’s not surprising that so many people count it as their favorite hobby. If you have a foosball loving friend in your life and are stuck for great gift ideas, these are ideas that they’ll truly appreciate.